The mystery series that inspired the hit anime! Jimmy Kudo, the son of a world-renowned mystery writer, is a high school detective who has cracked the most baffling of cases. One day while on a date with his childhood friend Rachel Moore, Jimmy observes a pair of men in black involved in some shady business. The men capture Jimmy and give him a poisonous substance to rub out their witness. But instead of killing him, it turns him into a little kid! 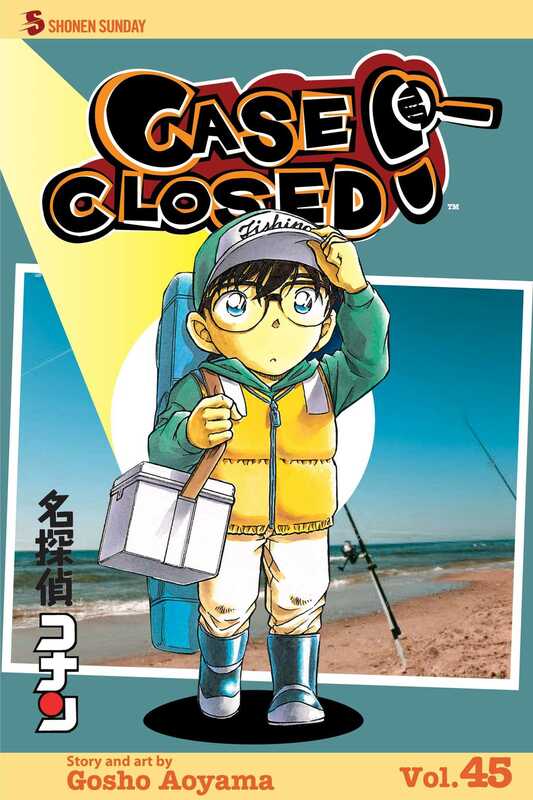 Jimmy takes on the pseudonym Conan Edogawa and continues to solve all the difficult cases that come his way. All the while, he's looking for the men in black and the mysterious organization they're with in order to find a cure for his miniature malady. A relaxing fishing trip in a quiet bay turns into a case for the Junior Detective League when a vacationer is murdered. Conan knows how to bait the killer, but will he have what it takes to reel him in? Then a baseball star is stabbed to death and left by the side of a road. But the prime suspect has a rock-solid alibi: he was with Conan, Rachel and Detective Moore the whole time!